We are affianced in offering wide assortment of Fur Fabric. Newly introduced fur fabric can be used for Stage backdrops, Padded Panels, Gate Panels and at many more places. Fur fabric is available in different designs and the same can be customized. 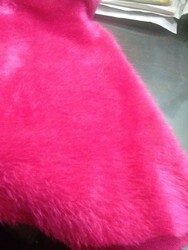 We are offering Long Fur Fabric to our clients. 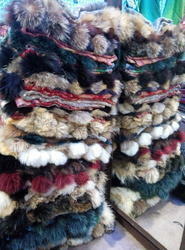 - Fur cloth are available in all colors. We are the well known company manufacturing a wide range of Fur Fabric.These are manufactured by using best quality yarns procured from trustworthy vendors of the market. The offered fabrics find multiple usage in single knit fabrics.